It’s a PC dongle! Plug this into the HDMI port on your monitor and power it via USB and you’ll see Windows 8.1 boot up before your eyes. Plug in a USB keyboard and mouse and that’s it. You’ve got a quad-core Atom-based processor with 2 GB of RAM and 32 GB of storage, WiFi, Bluetooth a microSD card and lots of possibilities. Processsing and graphics power won’t be enough for a daily office environment but as a home PC this will sit quietly in standby and be available in a second or two when you need it. Run the Weather and News apps and they will be continuously up to date when you turn on the screen. Alternatively, use it as a music streaming device, a Web browser, a full HD video player or twitter wall. There are a number of business scenarios too as you can run Remote Desktop, add a 3G dongle (turn it into a 3G router), turn it into a data collection device, run it from a solar panel or use it as part of a home automation system. It could be interesting as an advertising display system too. Run a slideshow of images from a synchronised OneDrive folder and you can control the content remotely. 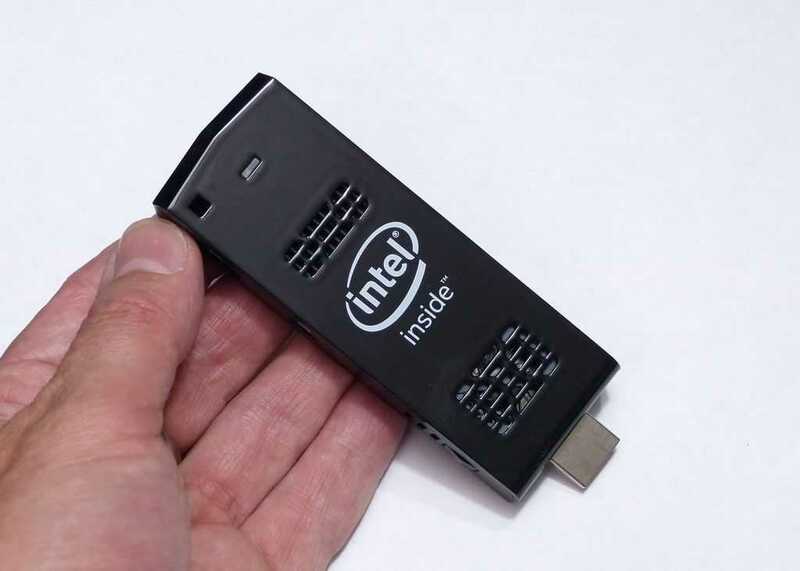 There’s no TPM module inside the Intel Compute Stick which might sound irrelevant but Atom-based Windows PCs running Windows 8.1, using a Microsoft account, having Secure Boot enabled and including a TPM module inside is the magic recipe for free Bitlocker disk encryption. It’s a good way to keep data secure if you lose the stick. It’s a shame because it would have been a nice way for users to stay data-safe and, as this interests me, for journalists to do secure data ‘drops’ with informants. There’s no battery inside the Compute Stick so you’ll have to take care to keep it powered. The USB on a TV will not be powerful enough to run this but if you’re turning the included PSU off and on at the plug (as many do with switched wall plugs or power-saving auto-switches) you risk corrupting the disk. eMMC drives are resilient, but I would recommend care. Note that the system supports Connected Standby which means it will go into a very, very low power state but stay connected to WiFi and update apps as required (unless you disable ‘WiFi in standby’ – coming on Windows 10.) Connected Standby will disable the screen but I can’t tell you if it supports HDMI CEC which would electronically turn the TV off too. Most TVs will detect the loss of signal and power-down anyway so this shouldn’t be a problem. As for control, and this also applies to the Ainol mini PC (below,) look to use something like the Logitech K400 with built-in trackpad. The Intel Compute Stick supports Windows 10 upgrade (free) and I’ll start looking at that in the coming week but one thing is for sure – DIAL is something you need to be aware of because it will enable remote control of DIAL-enabled apps from a separate Windows 10 device. This isn’t Miracast (a WiFi-based screen casting protocol – which is also possible) this is pure app control as you see on Chromecast. It means that you could control Netflix on your Compute Stick via your tablet or laptop without having to leave the laptop or tablet turned on. Windows 10 brings some other casting and streaming features too. Much of what is said about the Compute Stick applies to the Ainol Mini PC. This is a Chinese import PC that costs $99. [Gearcheck sent it over, I am not obliged to return it. I paid about 40 Euros in import and processing costs.] The main differences between this and the Compute Stick are the size, the additional ports and an internal battery. It’s many times bigger than the Intel Compute Stick and weighs as much as a Windows tablet so there’s a question to be asked here. Why not buy a cheap Windows tablet? Ports. 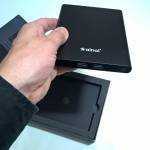 The Ainol Mini PC has two full-size USB 2.0 ports, a Mini HDMI port, a Micro SD slot, Micro USB port and a charging port. 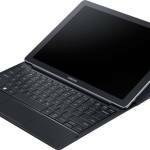 It’s difficult to find a cheap tablet that can offer so many ports and given that most tablets charge through their only USB port, one that can be powered and docked with a connected USB keyboard and mouse. 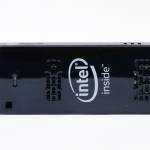 The Intel Compute Stick offers a similar docking experience but lacks the multiple USB port. 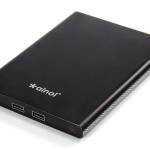 The Ainol Mini PC is silent. There’s no fan inside and that’s because of the larger case volume. No fan means no fan-ports and less chance of dust problems. The aluminium casing adds to the ruggedness. There’s a TPM module inside which enables Bitlocker disk encryption under the conditions mentioned above. As a secure, portable, dockable PC this is looking good. Connected Standby is also supported. One of the problems of importing PCs from China is the risk of unlicensed software. I’m happy to report that the pre-installed Windows 8.1 OS passed the online Windows authentication test and looks to be complete and without additional software – always a risk when buying from a low-cost supplier. The only problem is that the OS is a Chinese version and despite an English language build and language install a lot of strange characters can be seen at boot-up. Luckily the UEFI/BIOS settings are in English, and extensive with options. 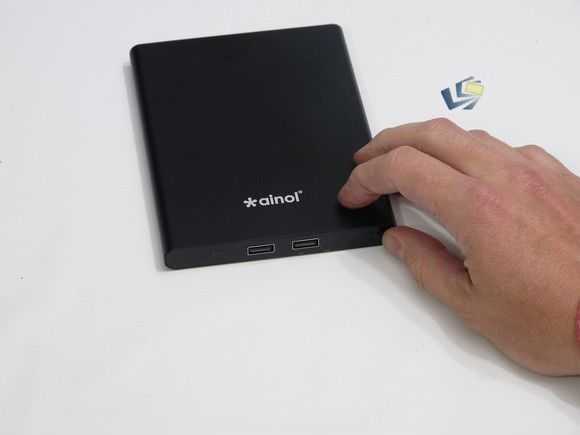 The Ainol Mini PC can be hidden behind a monitor as well as the Compute Stick, the NUC and many other mini pcs are the same in that scenario so you don’t need to worry about the size there but the real advantage is the internal 17 Wh battery. 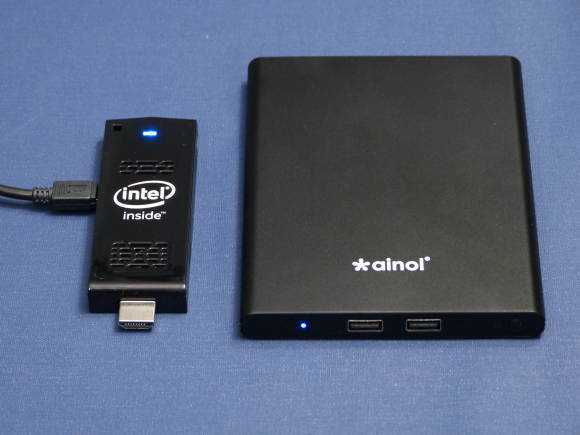 While the Intel Compute Stick requires constant power, the Ainol Mini PC doesn’t and that makes it very interesting for locations where plug-in power is limited. The Ainol can run well as a home theater PC but it could really shine in locations where power is limited. Think about solar charging. Think about education in developing countries where a standalone PC and a cellular USB dongle could connect a whole village. The Ainol isn’t targeted at these markets but that’s exactly the scenario where it fits. Video: Three Mini PCs compared. I’ve put the Intel Compute Stick and the Ainol together with the Intel NUC in this video. 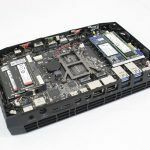 The Intel NUC is in the same price bracket and offers desktop style expansibility, but it doesn’t come with RAM, storage or any operating system so bear that in mind. It can be used with a cheap memory module and run as a home video solution from a USB stick without internal storage but that, again, is a different usage model. How well does Linux run on the Compute Stick? 1) Plug it into a TVs HDMI port and then Remote Desktop to it via a tablet in the living room? How will the ‘experience’ by like in video quality? Does ‘Windows 8.1 with Bing’ even support incoming Remote Desktop connections? 1) is not supported on non-pro versions. 2) would work but you can also use a usb-wireless keyboard/mouse. Also, wait for Win10 which supports DIAL, the casting protocol. I’m testing that right now. 1) I found a hack for Remote Desktop (look up RDP Wrapper–its at Github) and used my Chuwi vi8 as the guinea pig by connecting to living room tv by HDMI (yes, Chuwi does have a Micro HDMI output) and then RPD to Chuwi. But the output resolution on TV was too small. Darn. 2) I ordered a Wireless Keyboard from Amazon and then hooked up my main 15″ laptop via HDMI cable and then tried to control the display on the TV via the wireless keyboard; too bad, the buttons/text inside Google Chrome was too small. But I think I am generally very pleased with the 15″ laptop to ActionTec WIDI experience. Now, all I need is powerful enough Windows tablet (less than 10″) to replace the 15″ laptop; poor Chuwi is not up to Miracast/WIDI, presumably because its antenna is not powerful enough. Ya, anyone know where I can read to get Linux running on the Compute Stick? Ubuntu 14 LTS is the one to go for. I’m interested in some Linux testing on the Ainol due to its internal battery and what looks like semi-rugged construction for some outdoor projects I have. I’d also like to get some general battery life numbers. Can the Ainol logo and name be removed? It’s not exactly an ideal name coupled with a (non)fitting logo in my English speaking country. I think I heard of other fanless mini-PCs with internal batteries (maybe some with Core chips but probably not fanless). Anyone know/remember what they are? Bitlocker (TPM+PIN) works very well and is available as it’s Windows 8.1/10 Professional (standard 8.1 only supports device encryption which is not the same thing). « Keyword landscaping with Webmaster Tools. Example.